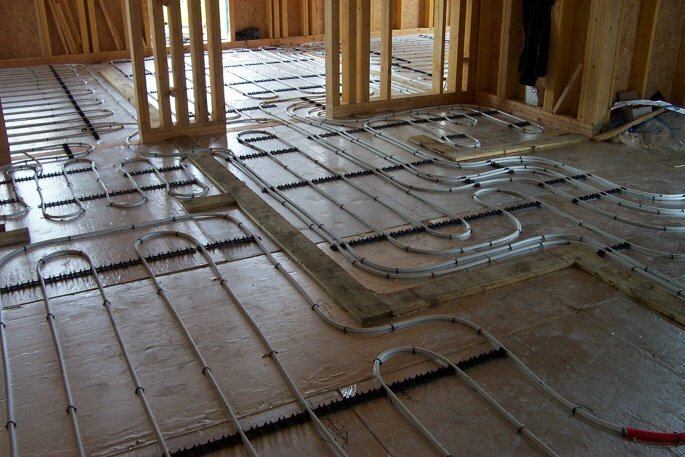 Illustration of the underfloor heating pipes in all of the rooms, and the boards in place to take the partitions later. A note about the insulation used in this project - We do not recommend using lightweight foil backed insulation because its lightweight structure does not hold the pipe well, and it also deteriorates with foot traffic. Use only floor grade high density rigid insulation.